a hell LOVE a town: Trick or Treats? Treats. Definitely Treats. Trick or Treats? Treats. Definitely Treats. Sometimes you can't travel as much as you want due to time or money limitations. This becomes increasingly difficult when everyone you know on Instagram is in Vancouver at the same time and when the people on The Amazing Race are walking with lions in Zambia while you sit on your couch and type out a blogpost. But one of the things I've learned over the years is that there's a way to travel in between trips, and that's through food! I often travel in my own zip code in between traveling outside of it by finding a great restaurant with cuisine from a place I've never been in my Global Bites without the Flights series. 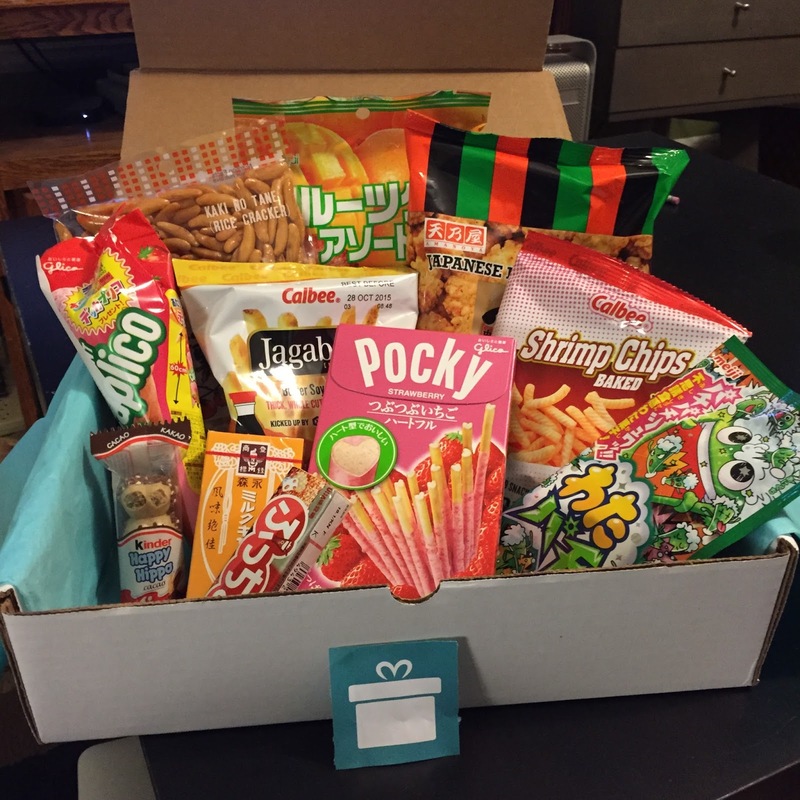 And now, I can also experience snacks from a different country each month with my Treats subscription box! I waited to open the Treats box until I was with my sampling partner, Ryan, and I'll tell you, those few hours before I knew what country we received were rough. Ryan guessed the snacks would be from Malaysia while I went with South Korea. 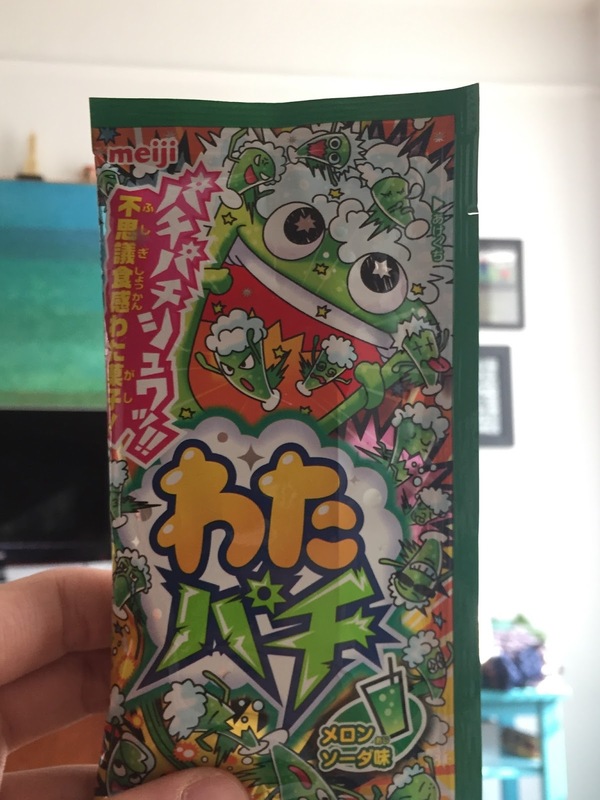 We were both wrong, but on the same continent, for when we (finally) opened the box, we discovered snacks from Japan. Treats offers two sizes of boxes. A Standard Box costs $12.95 a month and includes 4-5 snacks while a Premium Box costs $24.95 a month and comes with 8-10 snacks. My premium box actually came with a variety of 11 snacks. This would come out to about $2.30 a snack, some full-sized and some single serving packages. The price point is not bad in comparison with NatureBox and Graze, as both those plans come out to about $5 for a shareable bag, with Graze also having individual servings for about $1.75 each. Now, on to the snacks themselves! The best-smelling snack was the Fruit Gummy Assortment from Kasugai with individually-wrapped lychee, mango, and strawberry gummies. I'm a big fan of gummies and these were pretty good - way denser than both gummy bears and fruit snack gummies. To go along with the best-smelling snack, the worst smelling was definitely the Baked Shrimp Chips from Calbee. They were tasty and we ate them in one sitting during an episode of The Wire, but it's not advised to stick your nose in the bag and inhale. Cutest snack? This one was a tie. First are the Pocky Tsubu Tsubu Ichigo from Glico, which are long cookie biscuits shaped like hearts on the ends, dipped in strawberry. I've had the chocolate Pocky before, but this was my first time with the strawberry and it was one of my favorite treats. The other cutest snack was the Kinder Happy Hippo, which looked like the hippos from the Hungry Hungry Hippos game. This was a cookie filled with different layers of chocolate in different sections. It was the only snack that I didn't share with Ryan because I ate it too quickly. The Moringa Milk Caramels were the least exciting snack of the group. They were definitely delicious and it was a good sized box, but nothing about them aside the packaging screamed "this is international," and you could find something similar at any grocery store. The rice-iest snacks were the Himemaru rice crackers from Amanoya and the Kaki-no-tane rice crackers from Uegaki. Though both are rice crackers, they do not taste the same so I did not feel shorted. The Kaki-no-tane have quite a spicy kick if you eat enough of them at once. Both of these snacks came in decent sized bags for sharing, if you choose to do so. The Jagabee Butter Soy Sauce Crisps were basically dried french fries in a bag, but tasted more like McDonald's fries than American versions of potato crisps I've had - probably from all of the salt. These were also eaten during an episode of the Wire. The Giant Caplico Strawberry from Glico was the most oddly shaped snack. It was like a Drumstick Ice Cream Cone but clearly wasn't frozen. When we unwrapped this one, I half expected melted ice cream to run down my fingers, but instead of ice cream in a cone, it was what tasted like the yogurt-like coating on yogurt-covered raisins on top of a regular cone. It was kind of strange because the main snack was what we would normally take in small doses as just a coating, but I can't say I hated it. The snack we were most apprehensive about trying was the Watapachi Melon Soda from Meiji. It had the craziest cartoon design of exploding sodas with faces and no words we could identify. I was expecting a Pixie Stick situation, but it turned out to be a sour apple cotton candy with something resembling Pop Rocks at the bottom of the bag. I'm sure you were supposed to mix it up, but I kept getting mouthfuls that were one or the other. There's one snack that arrived in my apartment a month ago that still remains mostly uneaten and that is the Cola Puccho package from Uha. It's supposed to resemble the taste and feeling of drinking a soda but it's a gummy with a seltzer-ish center that froths up when you bite into it. It's not a great taste or a great feeling. Ryan had tried these before and basically refused to try them again, but I caught him with his mouth open during a yawn and tricked him into eating one. Thankfully he does not hold a grudge. What I like about Treats that's different than other snack boxes is that it's a surprise as to what country you'll receive and what snacks you'll get. Because you rate snacks on NatureBox and Graze, you end up being sent some of the same snacks over and over. And even if some of these Treats snacks are Cola Pucchos, the majority of what I had from Japan are awesome and foods I wouldn't have experienced without this subscription box service. Dad - "Hey Erin, if you could live in any city in the world, where would you live?" Me - "...New York City..."
Dad - "Well, how 'bout that." chocolate snacking cake with orange glaze. where in the world is lola? Everything by Erin, 2010-2014. Simple theme. Powered by Blogger.